Founded in 1932, Wabash College is a small private educational institution organized as a liberal arts college for men. This is one of the three remaining liberal arts colleges for men in the country. Being an all-men’s institution is its biggest selling point, as it is a proof that Wabash College education is focused on academics. 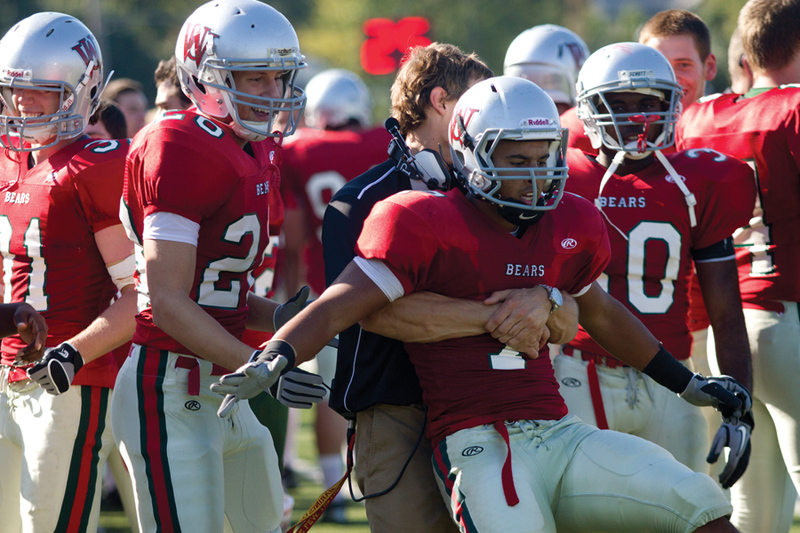 The Wabash College athletics department is highly popular, with nearly 40% of the students competing in varsity sports and over 80% participating in intramural or club sports, including Wabash College baseball, cross country, tennis, basketball, football, soccer, wrestling, swimming and diving, track and field, and cross country programs. Wabash College is located in Crawfordsville, Indiana. This community of 14,000 is located 150 miles southeast of Chicago and 45 miles northwest of Indianapolis. The acceptance rate at Wabash College is estimated at 62.9 percent. The 60-acre Wabash College campus includes 25 buildings which are predominantly built in Georgian architectural style. Several more modern facilities have been renovated and added in the infrastructure recently, including the Allen Athletics and Recreational Center, Malcolm X Institute for Black Studies, Hay Hall, the Detchon Center for Modern Languages and International Studies, and the Fine Arts Center. The college requires the students to live on campus during their first two years at school. However, freshmen can also opt to forgo residence housing and live in the houses of their fraternities. 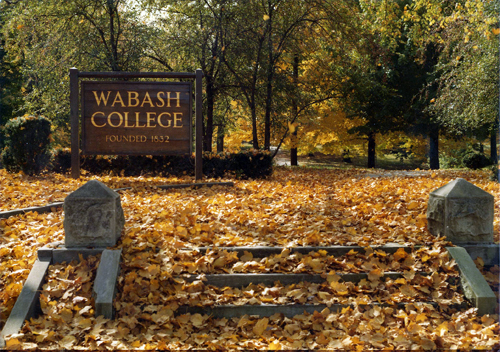 Wabash College Indiana offers important student services, such as health insurance, health service, placement service and nonremedial tutoring. 70% of the students have cars on campus. 24-hour security services are provided. Greek life is very popular at Wabash College Indiana, with about half of the students being members of fraternity programs. The Wabash College athletics community is also very strong, as Wabash men are pushed to work hard and play hard as part of a team. The student life at this college is characterized with competing, performing and debating. The program is focused on developing leadership skills in varsity sports and student government, as well as on setting imposing goals, managing budgets and running clubs. In the age of reforms and specialized education, Wabash College Indiana is one of the few institutions that stick to a time-tested, classic liberal arts education. Students are taught how to discuss intelligently, communicate ideas effectively and think carefully. Best courses: English Language and Literature/Letters; Mathematics and Statistics; Philosophy and Religious Studies; and Social Sciences. The complete cost of attendance at Wabash College is estimated at $44,160. This amount includes the tuition, student activities and health center fees, and room and board expenses. Wabash College provides an effective “academic year” payment plan that divides the costs for both semesters into 8, 10 or 12 monthly payments. The college also has a long tradition of offering generous merit-based scholarships. Over 80% of the full-time undergraduates are part of some need-based financial aid program. The students also have an opportunity to earn $10 per hour through the employment self help program. Wabash College football history dates back to 1994, when the first team was assembled by a student-coach Edwin R. Taber. 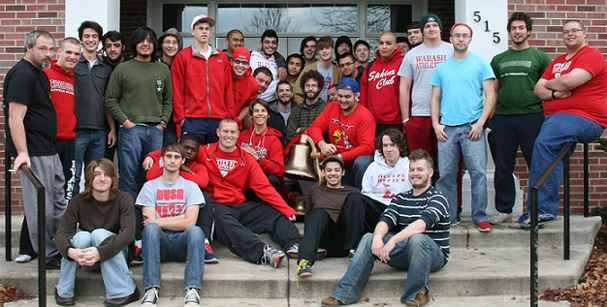 The Wabash College football team is one of the best rivalries in college football, competing against DePauw University for the right to reclaim or keep the Monon Bell. The online Wabash College bookstore is an effective tool that allows the students to find the needed textbooks easily. Did Trump Cheat In College?